Last Friday, June 25, Olympic Fencer Tim Morehouse attended the final Bryant Park Fencing lesson of the summer. The class was packed and, as usual, drew the attention of passersby and folks taking a break on the New York Public Library's front steps. 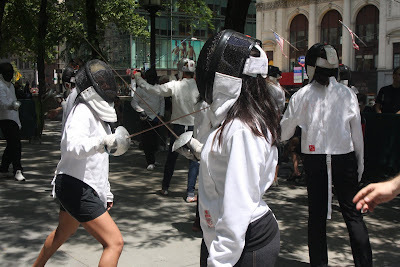 Students suited up in gear provided by the Manhattan Fencing Center, and listened closely as Morehouse offered tips and corrections on technique throughout the lesson. 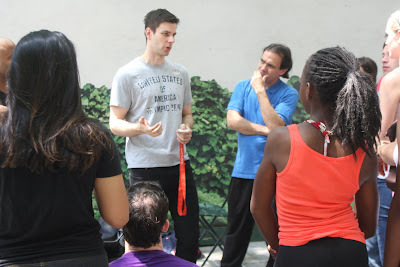 The real treat came after an hour of instruction, when Morehouse presented his Olympic medal to the group and graciously posed for photographs with the students. 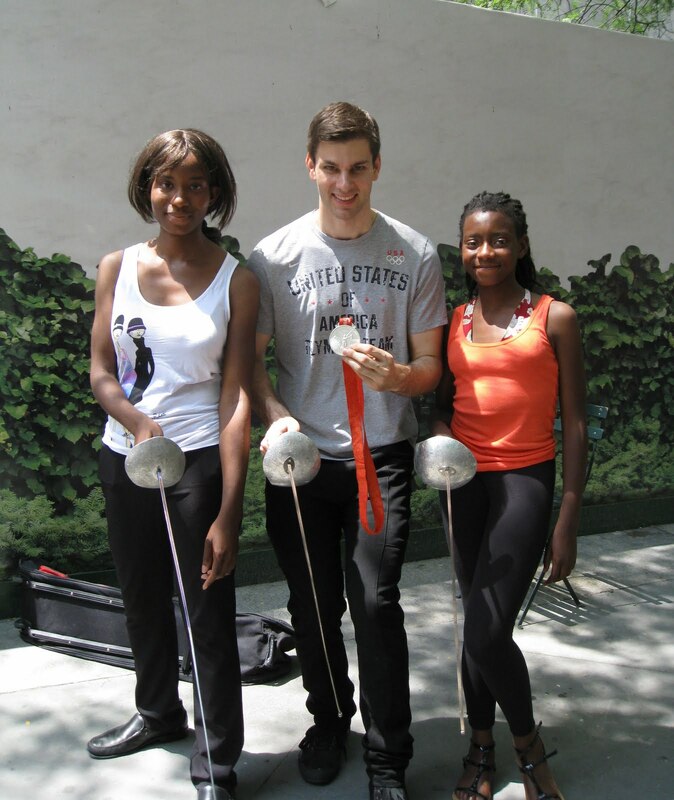 You can read Morehouse's recap of his visit to Bryant Park on his blog. 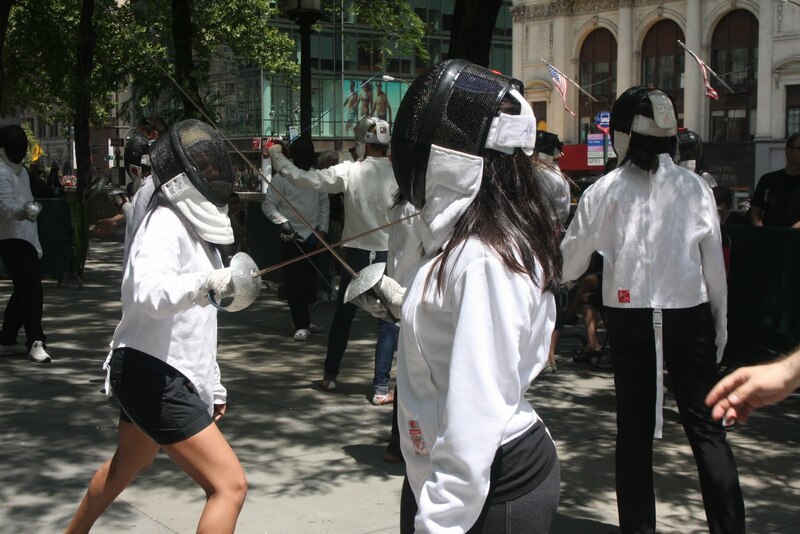 Stay tuned for more information about the return of Bryant Park Fencing this September.